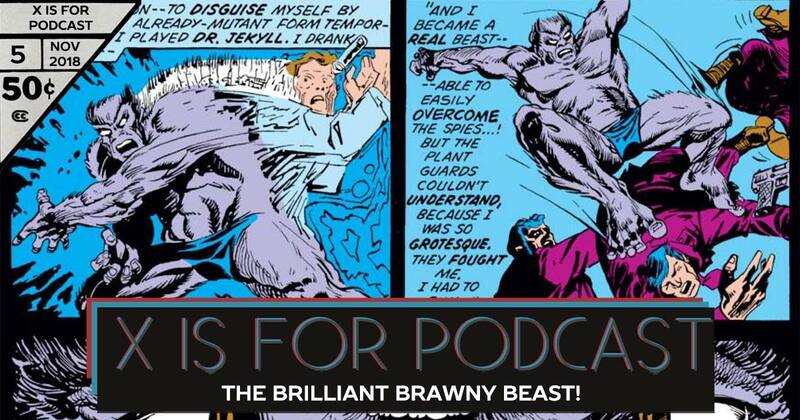 X is for Podcast #005 – Back Issue Bin, Part One: The Brilliant Brawny Beast! It’s time to acknowledge the original X-Man we’ve dodged so far: the brilliant brawny Beast! Join us for a stroll down memory lane, taking a look at the adventures of The Beast that led to that famous blue fur… and more! Here’s what you’ll want to track down and read to keep up with Season 1.